Stop press! This post is not about something I made for Little Tweedie! 🙂 I made myself a new dress. However it wasn’t an entirely selfish make, as the reason I chose to make this dress is because I think it will be useful for nursing once this baba in utero has been born – so, still a practical make, but a pretty one nonetheless. 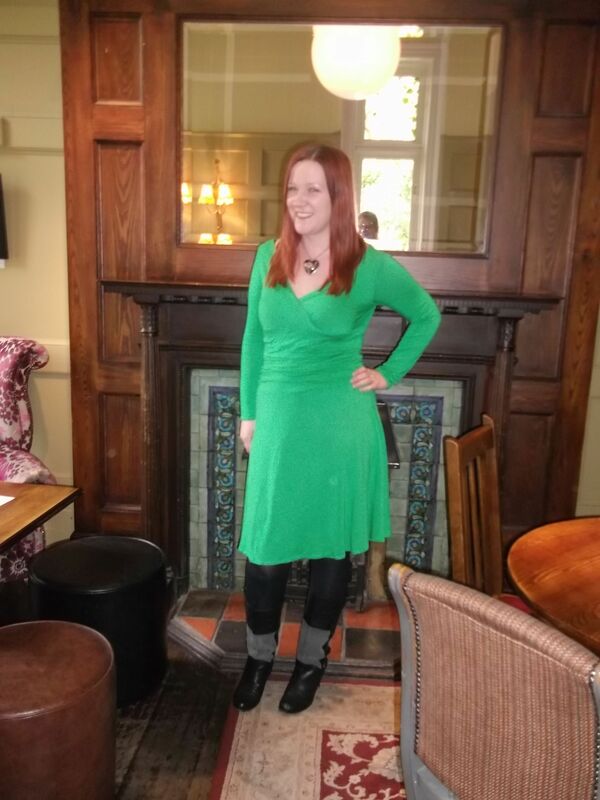 I used Butterick B4914, which I have used once before during my April Challenge 2012 to make the green jersey dress pictured. 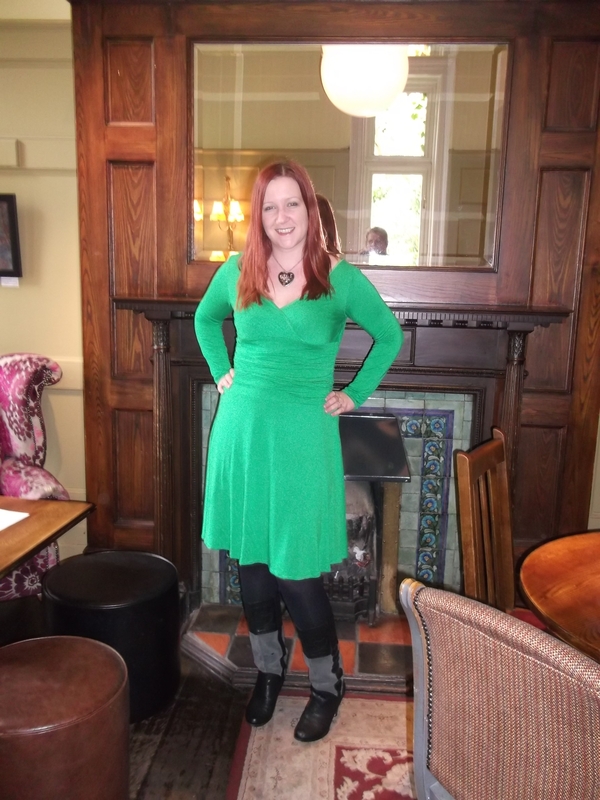 For the green version I used viscose jersey, which I sought out after consulting the labels on some of my favourite RTW jersey dresses which are made with the same. 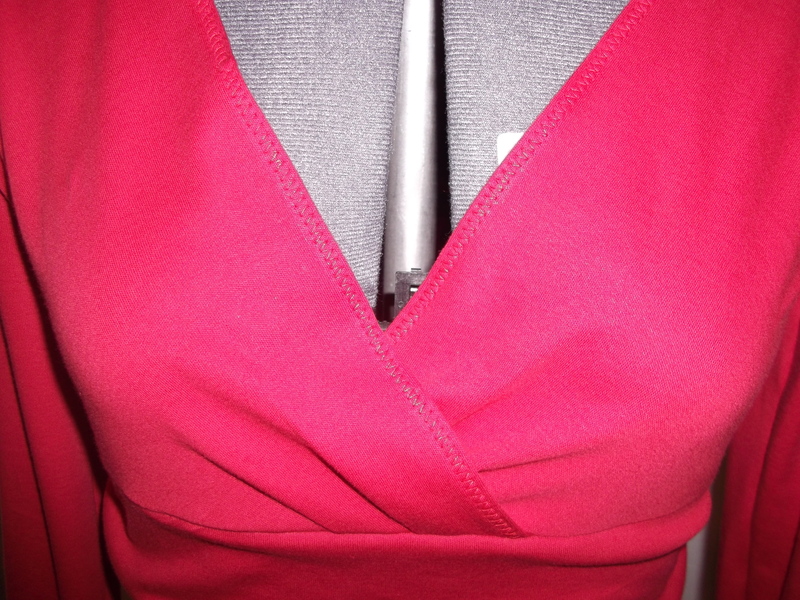 For my new version, I chose to use 100% cotton interlock jersey, which I really loved working with. It wasn’t as thick as the interlock jersey I used for my (second) New Look 6000 dress or my McCall’s 3881 Maternity dress, but I think the design of this dress benefited from that. I’m going to be ordering more of the same jersey for future projects (from eBay) because it really is a lovely quality and as a result my new dress is one of my most favourite jersey makes to date. Back view – back neckline gaping a bit but looks fine when I’m wearing it! ← The girliest dress I have ever made! Love it. I made the same pattern last week and it is perfect for breasfeeding in, I will be making more of them. Fantastic! That’s good to hear! wow, this dress is gorgeous. I love the red colour! Thanks, me too! Red is a winner.